Last Wednesday, my husband, toddler and I were anxiously awaiting our doctor in the exam room. We were anxious about how long we’d been waiting because we had plans to pick up my step-daughter after our appointment. We’d had a scare a couple of weeks prior and they had put me on supplemental hormones, but on this day, we weren’t thinking that something was wrong. We were simply waiting to have the doctor take a quick peek, get a few new sonogram photos, confirm our due date and be on our way. 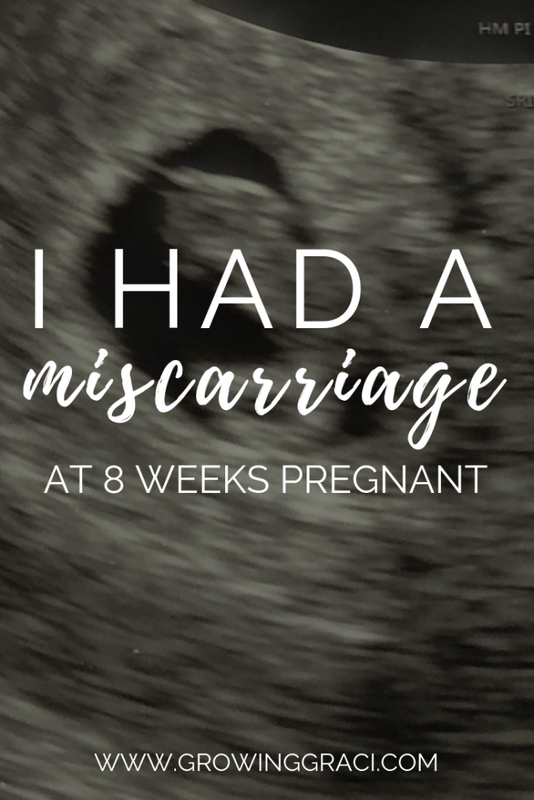 But, on some level, I’d felt like something was wrong with this pregnancy, and I’d mentioned it to both my mom and my husband. I wasn’t having any morning sickness, I’d stop feeling quite so uncomfortable and I couldn’t picture myself more pregnant or with a baby by the end of the year. It wasn’t really something I could explain, but it was there. Yet, as we waited in the exam room, I’d pushed these thoughts away. After all, I’m always trying to prepare myself for the worst (and the worst rarely ever happens). I was a worried wreck with Graci, too, so I was trying my best to chalk up my feelings to anxiety, and was doing a pretty good job of it. When the doctor finally came into the room, he asked how I’d been feeling. I told him that I hadn’t been having morning sickness which was amazing. He said maybe that meant I was having a boy. As soon as he inserted the ultrasound wand, the baby popped up on the screen. But instead of focusing in on it, my doctor kept trying to change the angle of his view. I could see on his face that something was wrong. After a few moments he told us that he couldn’t see a heartbeat. My heart immediately sank. A few moments later, he used the doppler to try and see if we could hear the heartbeat. Instead of the constant boom boom boom, we heard absolute silence. My husband and I both knew what that meant. Our baby was gone. We should have been 9 weeks pregnant, but the baby passed away at 8 weeks. How Could This Have Happened To Me? The doctor left the room to get paperwork and information for us. My husband and I were clearly distraught and I had already started crying. But this initial pain was nothing compared to the moments that came later that night and in the days since. Even though I had a feeling that something was wrong, I’d done a good job of trying to ignore myself. Besides, I’m confident now that there is no way to prepare yourself for a moment like this. Almost immediately, I started having questions. How could this have happened to us? We had a healthy toddler with an uncomplicated pregnancy. Was it something I did? Something I ate? Could this have been a one-off thing, or was Graci our one healthy baby? As soon as I saw my doctor again, I asked him more questions based on research that I’d done the night prior. (Thanks Google.) He assured me that after testing was done on the baby (or tissue as they call it), we’d know more. The hospital staff was all very kind, and many of those that I met offered me their condolences on our loss. I was relieved that I felt so cared for on this absolutely horrible day. Overall, the surgery was quick and I experienced very little physical pain or discomfort in the days after. While I had expected to bleed a ton, I barely bled at all. While I had expected to need major pain killers, I didn’t even need an ibuprofen. My loved ones were so happy that I was healing so well after the surgery, but it bothered me. 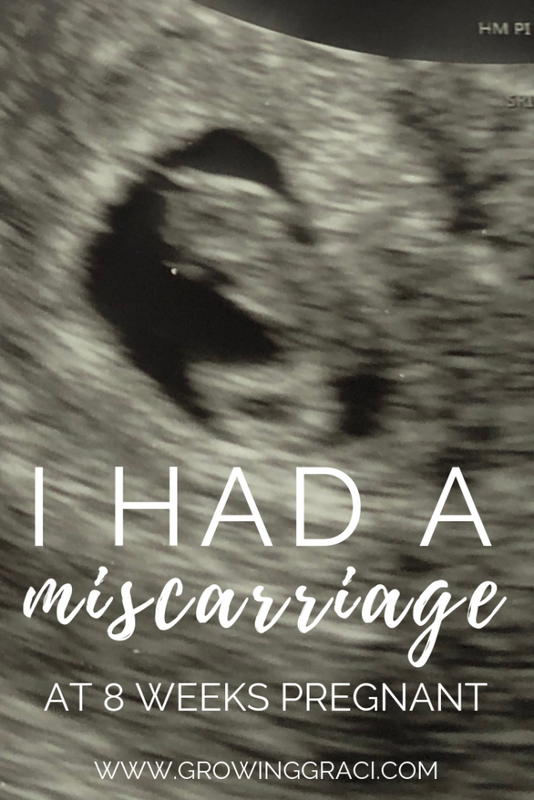 Because how could my baby be there one minute, heart beating on an ultrasound and then the next minute my body was empty with very little sign that I had lost anything at all. To say that we are shattered would be an understatement. We always knew this was a risk – and thought we had prepared ourselves in some sense – but man, were we wrong. You absolutely cannot prepare yourself for something like this. In the days since finding out that our baby was no longer with us, my husband and I have both had moments of excruciating pain. There’s this pain in our chest that never completely dissipates, and the grief sneaks up on us when we don’t expect it. One of the strongest feelings that I’ve had to contend with is guilt. Guilt about my body’s role in losing our baby, guilt about my reactions, guilt about caring for my husband enough or guilt about having to tell my step-daughter that we wouldn’t be having a baby. The feeling of guilt has been especially strong when I think about how I never understood what other women were going through when they experienced loss. I thought it was something that you prepare yourself for, and take it as a risk when you get pregnant. If it happens, you just try again. Yeah, take it from me – it doesn’t work like that. You can’t prepare yourself for a loss like this. Even though I lost my baby at 8 weeks, it was still my baby and a loss like that isn’t something you just get over. And “just trying again” is complicated and a very personal decision for a couple to make. The heartache may be enough that they decide they never want to take the chance again. We decided to share the news of our pregnancy right away this time around. We knew it was a risk, but we figured that if something bad did happen, we’d have the love and support of others. 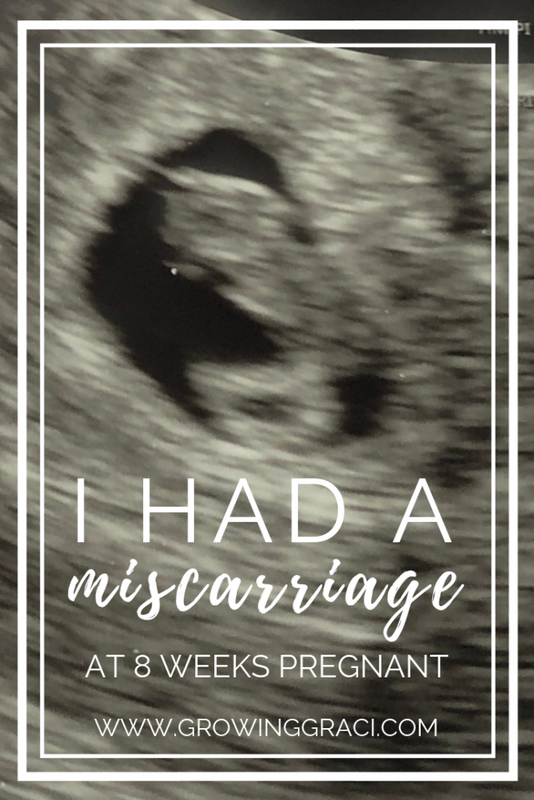 Now that the worst has happened, instead of trying to pretend like this pregnancy never happened, we’re putting our story out there because we know we’re not the only ones to experience this. 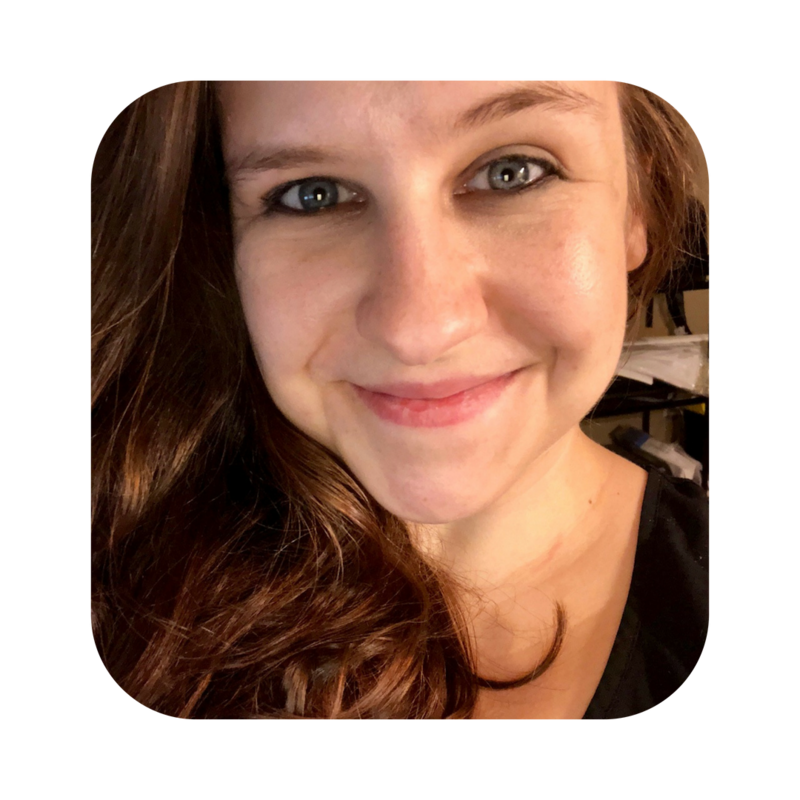 I try to share all the ups and downs of motherhood, depression and anxiety here, and this is a very real, raw part of my story now. In fact, I feel like my identity has changed. I’m no longer just a mom, I’m a mom who has experienced loss. Nothing that I can ever do will change the fact that I lost my baby. The pain will never go away completely and I’m having to come to terms with that. We’ve seen incredible kindness from loved ones, co-workers and medical professionals. Our doctor was incredible and we are so grateful for everything he did for us. When I shared my broken heart on Friday on the Growing Graci Instagram account, my husband and I received almost 200 comments and almost 700 likes on our post. The amount of love that we received was incredible. Hearing other women’s stories was painful and yet so healing to us. So here I am, trying to share our story in hopes that it will help someone else.